BATH | A Midweek Break Together | Merin and Co.
last year we went to Bath shortly after finding our we were pregnant with our first child. We’d been really looking forward to it and spending some quality time together, just the two of us. It would only be the second time since having Nala that we’d both spent time away without her. Yep, we live the dog life! The drive there was lovely with beautiful, rolling countryside, the two of us and Mike’s selection of music. It’s eclectic to say the least. Upon arriving at our B&B, The Cedars, it was cosy and quiet, just what we wanted. We unpacked and headed into the city for a mooch. 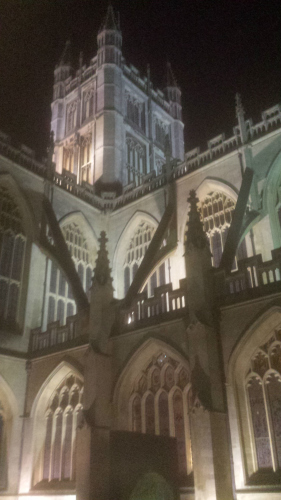 Bath was beautiful. Arcades and streets filled with shops and restaurants, some independent and others high fashion brands. The atmosphere felt relaxed and calm too. The only thing we were disappointed about was the fact that I was no longer able to have a spa break! We had planned to have some serious relaxation time in the Thermae spa, enjoying the natural hot springs – hence going to Bath. However, having done some quick reading it became apparent that it was too early in my pregnancy to take any chances. So we were in the spa capital of the UK, unable to go to the spa! We also weren’t feeling particularly rich either so we were doing Bath on a budget, without a spa experience…oh well, it was just nice to be somewhere different together. However, luck was on our side. As we wandered round the many decadent home interior shops we simply couldn’t afford we began to hear some music playing. Naturally we decided to head towards it and explore. It turned out to be a university rugby match – that’s right we’d found free entertainment, Bath was being friendly to our budget. 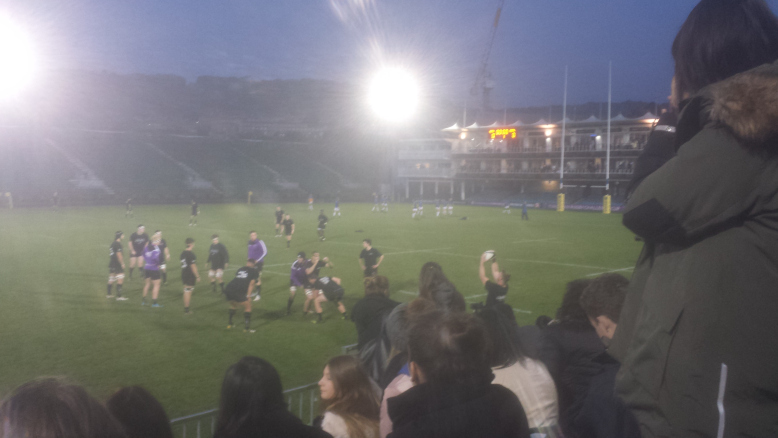 Bath Uni vs Leeds Carnegie – who I used to represent in basketball! We got ourselves some chips and beverages and took our seats. Yep, I was at a rugby match drinking blackcurrant…I could hardly contain the joy, though I must admit I am partial to a bit of squash! The game was not so great as supported of the away team but we sang a few of our songs and had a great time with an entertaining crowd. 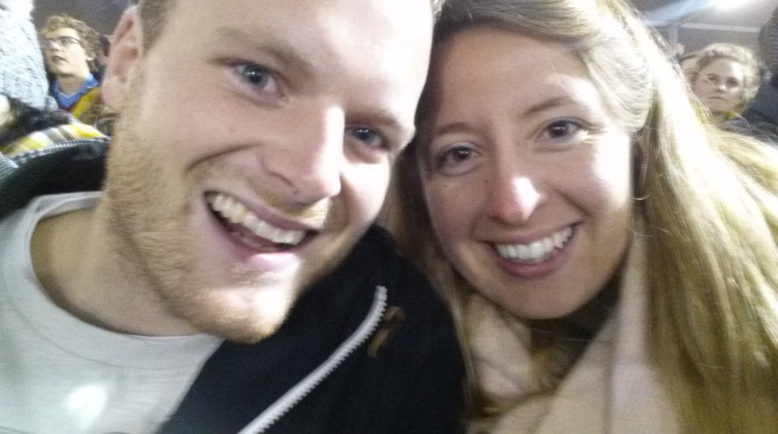 Behind us was a guy that had barely been to any sporting fixtures let alone a rugby match, and to our left were the parents of one of the players. It made for some pretty funny commentary and back and forth as well as an attempt at the creation of a new cheer which was basically a lot of grunting! A lot of fun was had by all and as the thickest fog I’ve seen pretty much ever rolled in and we could no longer see the players our only solace were the giggles we were having with the people around us. Leeds went down but not without a fight and some, be it a little subdued, support from us as fans! Having frozen to the bone during the 80 plus minutes we’d been stationary in fog we found a pub to warm ourselves up in. I was of course on lemonade and we started to formulate a plan for some dinner! We’d asked some of the locals for recommendations and they’d recommended Sotto Sotto, Ole Tapas and Yak Yeti Yak. In the cold the latter two were too far for us to walk so we headed to Sotto Sotto. The menu looked lush but sadly it was a little out of our price range. We spotted another sign a few doors down for a restaurant called La Perla took a gander at the menu and decided that this was the place for us. It was a vaulted cellar bar and felt incredibly intimate. The décor was simple, sleek and clean and the atmosphere was stress-free. The menu was tapas. We ordered croquetas de jamón, sobrasada miniburguers, huepacho 65˚, patatas bravas and a breaded chicken dish. It was all cooked to perfection and pretty devine. Simply some of the best tapas either of us have ever had! La Perla is a definite recommend! The next day we got our tourist on after a lovely breakfast at the Cedars. We were well fueled and well rested. Our first stop was the Roman Baths. We took the audio guide and educated ourselves on the history and development of the site. Some of the areas were particularly well preserved and it was interesting to see how the bath houses functioned as such a social areas as well as providing work for many local people. Though the warmth was evident the one thing I did not enjoy was the opportunity to try some of the water. Despite having walked around for an hour and a half knowing the water was a hot spring, I had not put two and two together and assumed that the water provided to try would be cool! Warm drinking water is not for me! After feeling pretty cultured and educated we were tuckered out so went for lunch. We love to eat! We found a cosy little Italian café called Rosario’s. Again the food was delicious. Mike had meatballs and I had chicken cacciatore. We then got greedy and tried some mini-cannoli. They were pretty scrumptious but we certainly didn’t need three between us. Due to our greed we felt a little bit like Weebles. Weebles wobble but they don’t fall down! Well these Weebles decided to take on the hill climb up to see the Circus. This is not a typical circus but a pretty exquisite example of Georgian architecture. We also took in the Royal Circle, again some beautiful buildings and impressive design. 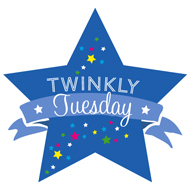 Having well and truly tired ourselves out, particularly me – who knew I’d be so knackered so early on! We meandered back through the city and decided to head back to the Cedars…at 5pm…when everyone else was leaving work…sometimes we are full of great ideas! Now that I was comfy we decided to walk around the city again taking in the night time views. It was even more beautiful in the lights with grandiose, stone buildings contrasting the dark night’s sky. We settled on going for a few drinks in All-Bar-One and ended up staying there for dinner. We just chatted about our new family member and how we were going to tell people and had an incredibly intimate evening, talking the night away. Helped by some lovely mocktails for me and beer for Michael! 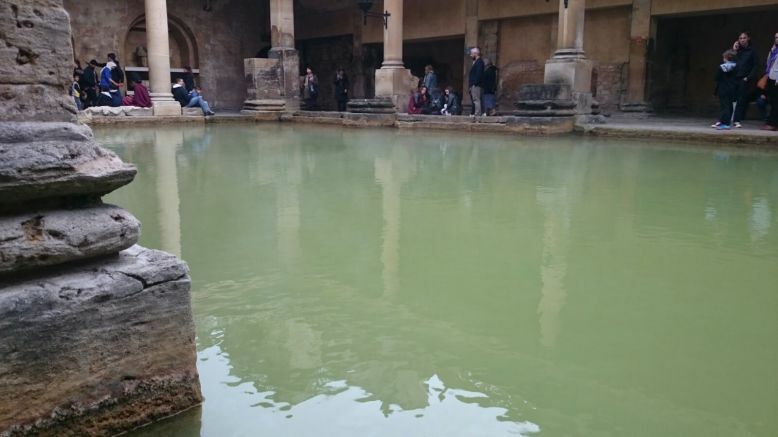 All in all Bath was the calming, fun break that we needed and I can’t wait to go back and try the Thermae spa once I am back in peak physical condition! Which is now clearly a way off but the little kicks I’m feeling are making it totally worth it! More on that in the weeks to come! For ideas on what to get up to in Bath click here! To book in at La Perla, or just have a nosey at their menu, click here! If you’d like to stay at The Cedars, click here! I'm Erin, wife to Michael, Moms to Heath and Dog Mama to Nala. This is where I blog our adventures big and small alongside my thoughts and ramblings. Here's to making the most of life and living the little things! Weekend Vlog 1 | Do old people need love? Who does the ironing? Healthy Meal Ideas | Five Healthy Dinners | Collab with Amy Being Mum! © 2018 Merin and Co. | Family. Fitness. Lifestyle.